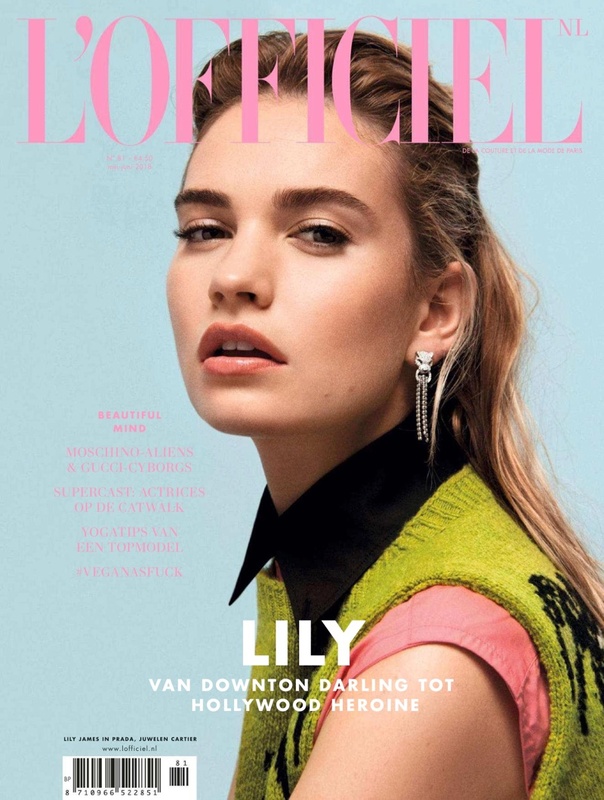 Lily James looks ready for her closeup on the June 2018 cover of L’Officiel Netherlands. Captured by Buzz White, the blonde poses in a knit sweater and top from Prada with Cartier earrings. Inside the fashion magazine, Lily wears sleek styles from the summer collections. Stylist Kay Korsh selects the designs of Gucci, Dior and Saint Laurent amongst others.